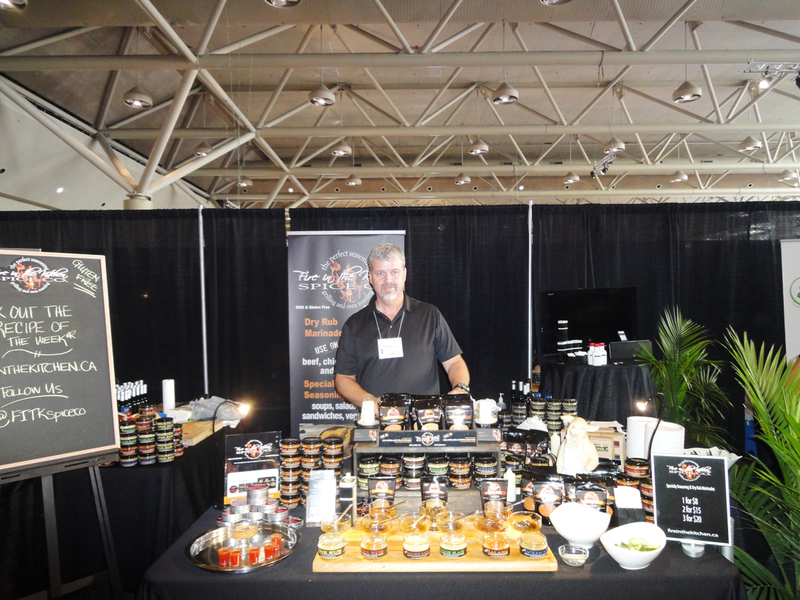 Last Sunday we met up with a friend and fellow blogger Krista Lamb and her husband and went to the Food and Wine Expo at the Metro Toronto Convention Centre. Since I’m not a wine drinker I suggest you head over to her site to get the low down on what the wine offerings were. I was there more for the vodka and food. We made it there just before noon and grabbed a Caesar – what a great way to start off the day. The entry fee was $20 per person plus on top of that you had to buy tickets for sampling. We got $60 worth of sampling tickets ($20 for 20 tickets). Items may range from 1 to 8 tickets. The average though was 2-3 for drinks and 4-6 for food. During the expo we saw a few familiar faces, who I wrote about in my past posts. It was great seeing Mark and Christian from Fire in the Kitchen. The constant line up at their booth is true testament on the stellar product they have. Read past review here.